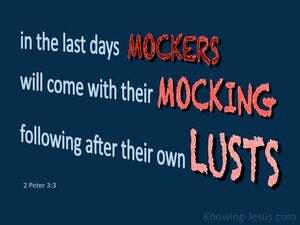 2 that you should remember the words spoken beforehand by the holy prophets and the commandment of the Lord and Savior spoken by your apostles. 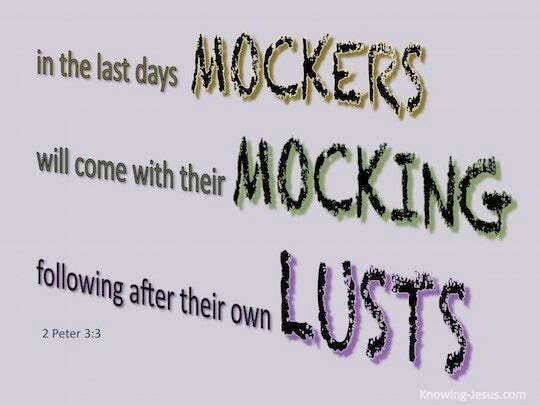 3 Know this first of all, that in the last days mockers will come with their mocking, following after their own lusts, 4 and saying, "Where is the promise of His coming? For ever since the fathers fell asleep, all continues just as it was from the beginning of creation." Who say, "Let Him make speed, let Him hasten His work, that we may see it; And let the purpose of the Holy One of Israel draw near And come to pass, that we may know it!"